Sintra is the must-do day trip from the Portuguese capital, being only a 30km drive away from Lisbon. With its UNESCO World Heritage listed status, the centre of Sintra has a whimsical, fairy-tale charm surrounded by cloudy hills. While there is plenty to do in terms of sightseeing, such as the pastel hued Palacio de Pena and the Castle of the Moors, I was captivated by the charming alleys of boutiques, with uniquely Portuguese wares. Here is my guide to the best buys in Sintra. Portugal is the world's largest producer of cork, and I was amazed to see this lightweight and impermeable material being used to make handbags, wallets, shoes and all kinds of accessories. It's actually a brilliant material to make handbags out of because it's so light (much lighter than leather). I only bought one bag when I was there - my only regret was not buying more! With my newly purchased cork bag, enjoying churros in Salamanca! Filigree is a delicate kind of jewelry metalwork. I absolutely fell in love with the intricate lace-like designs. 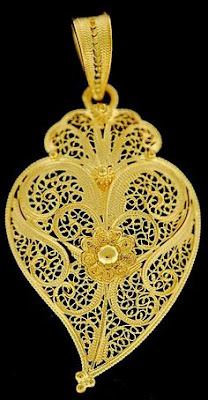 For something distinctly Portuguese, choose a "Portuguese heart" design, similar to the one Sharon Stone is wearing (pictured below). The store we went to was Ourivesaria Arneiro, but there are plenty of shops to browse in the area. This is another classically Portuguese item, great as a keepsake or a gift for friends and family back home. There are a huge range of designs, from stand-alone single tiles to a collection of tiles which assemble to make a bigger image. In addition to the traditional hand painted tiles, some shops also sell digitally printed tiles (for a cheaper price). Make sure you ask before you buy so you know what you're purchasing! Another tip is to run your fingers across the face of the tile. The hand-painted ones will be smoother (although you'll be able to feel variations in the brush strokes and volume of paint used) than digitally printed ones (which create pictures using a "dotting" technique). 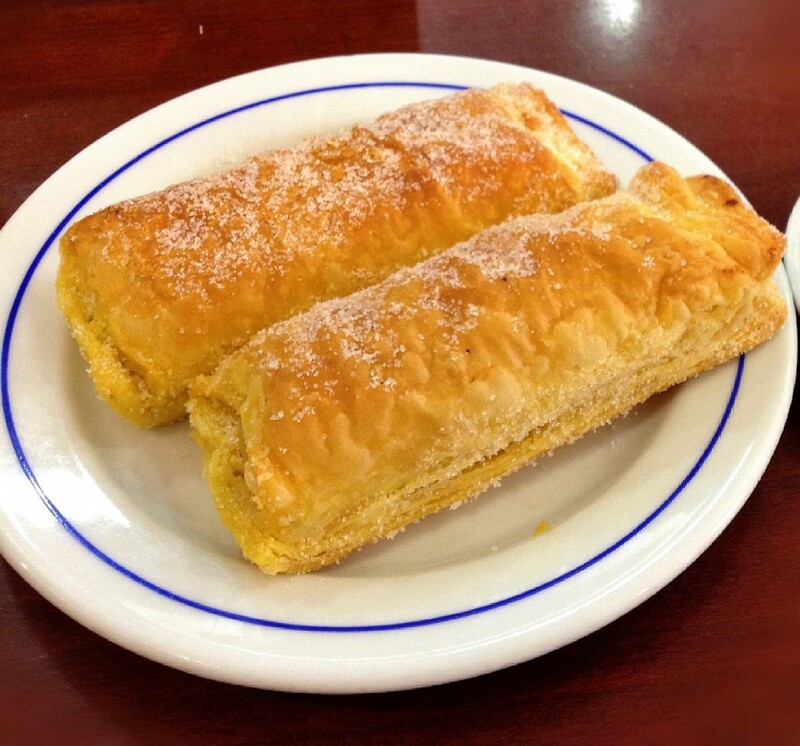 The Portuguese are famous for having sweet tooths, and Sintra has some of the most delicious pastries. After burning all those calories walking through those charming cobblestone alleys, check out the pastel de natas at Piriquita. The queues here can be insanely long, but not to worry - there's a lesser known second branch, Piriquita II! The Portuguese egg tarts here were on par with the best ones we tasted during our trip to Portugal. There are also a few Sintra specialties on offer, including the "travesseiros and pasteis de Sintra", sugary pillows of layered puff pastry and sweet cream. While many people opt to do a day trip to Sintra (which is what we did too), I couldn't help wishing that we had at least one more day here to fully enjoy the gorgeous views and meander through more shops!